The remarkable man this entry was referring to was Conrad Klee. A man whose beginnings in Binghamton was much like yours or mine. 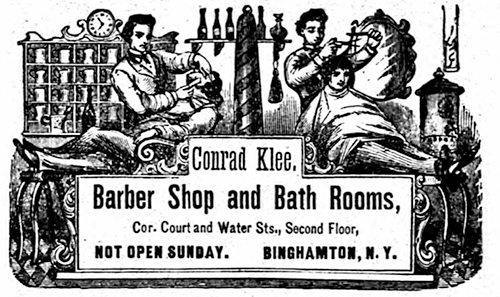 His father was a small business owner having a barber shop and bath house on Court St. 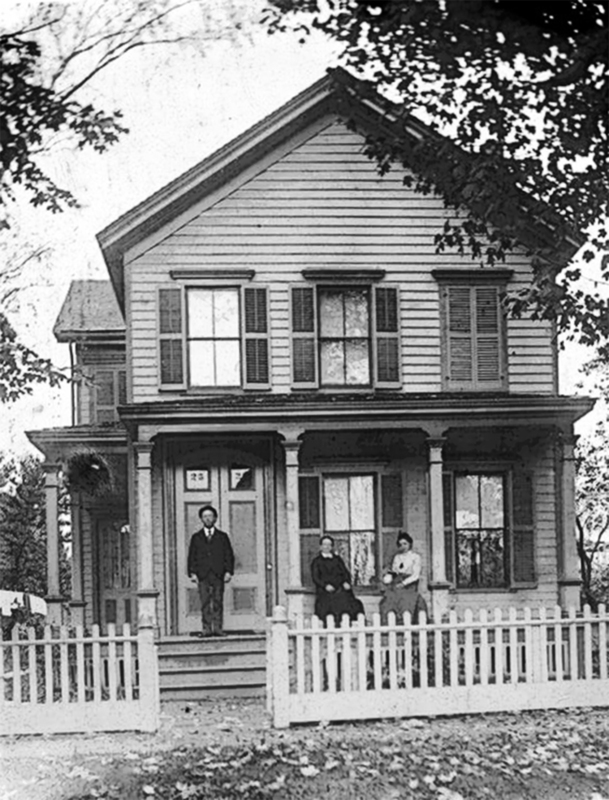 He lived in a quaint home at 24 Mather St in Binghamton with his parents and his grandmother. 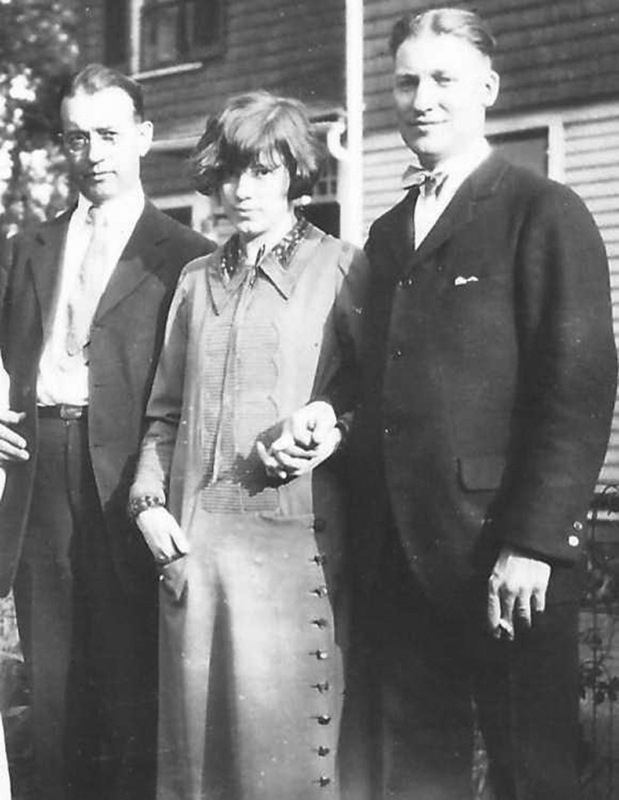 He married the love of his life Virginia Delevan from Guilford. And he had a job in sales. More specifically he sold Travelers Insurance. Perhaps it was from good fortune or from being a shrewd business man but either way Conrad had worked out an arrangement where he received commissions on all transactions for Travelers throughout the region. Between that lucrative arrangement and his other key investments in IBM and Azon he became a very rich man. And this is where he became remarkable. Not from his wealth but rather from what he did with his wealth. “ Conrad Klee was also a warmly generous man, supporting friends and relatives through gifts. “Having no children, Conrad and his wife made the community part of their family” said Judy. And everything he did, he did without want for recognition. He was motivated “by a deep-seated caring for humanity, he represents the true charitable spirit – giving not for tax benefit or for public approbation, but just because he cared”. Conrad’s legacy lives on with the Klee Foundation, an organization “committed to promoting, nurturing and educating a healthy, economically viable community.” It’s all about having a positive impact on the community, about addressing its most critical needs” said Judy. Judy added that the Foundation looks at “issues like workforce development, because having a healthy workforce affects everything else – including the supporting services needed in the community. And having rich cultural assets attracts people to the community”.